Is it VFD the best way to control pump water flow? Home » FAQ » Is it VFD the best way to control pump water flow? I have a multistage centrifugal pump in a test rig, and I need change the water flow very often, although it does not to be accurate. I used to have a VFD for the pump, and can vary the flow rate very accurately. But the variable frequency drive made lots of troubles in the past, noise to the SCADA system, damage in transportation. So I am searching for a rough, simple alternative ways to change the volume. The globe valve option has been considered, but I am still looking for other alternative ways. One question in my mind is if I can achieve some percentage of volume variation by introducing a variac. I know that if the voltage drop too much the motor can be damaged by the big current. But if the voltage drop is within 10%, the motor can survive, the volume will drop a little bit? Well, you can use a Constant Flow Valve, which are many in the market. You select a flow and the valve automatically will regulate orifice opening area, responding to changes of pressure differentials across the valve. Desired flow can be adjusted. But, again, this kind of valve just automates the manual work required to open or close a ball valve. The principle is the same, to create a head loss. You can use an external bypass to the pump including a manual (or controlled) valve. The opening of the valve will determine the flow rate at the outlet of the pump. The disadvantage is that as centrifugal pumps power consumption is proportional to flow, this solution is less efficient in terms of energy than closing a valve. Closing a valve may reduce a little bit energy consumption, bypassing the flow keeps it rather constant. 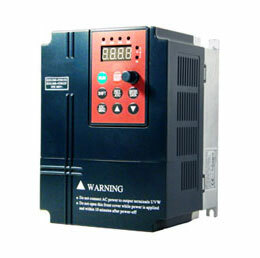 A variable frequency drive (VFD) is the best way to vary the flow. Your reasons for not liking them made no sense at all. They are the most energy efficient method to employ. You don't like globe valves, which I don't care for either. A full port ball valve is all you need. Have you thought about trimming impellers? Changing impellers out would not be fun. You could also place an orifice on the pump outlet side. They would be easier to change out than impellers. Since you said accuracy was not an issue, the full port ball valve would be ok. I think that you are making much more out of this than is necessary. Gozuk is a commercial brand name for a VFD controller, with additional functions included for controlling pumps. All asynchronous motors rely on a difference, or "slip," between rotating speed and synchronous speed to get its torque. 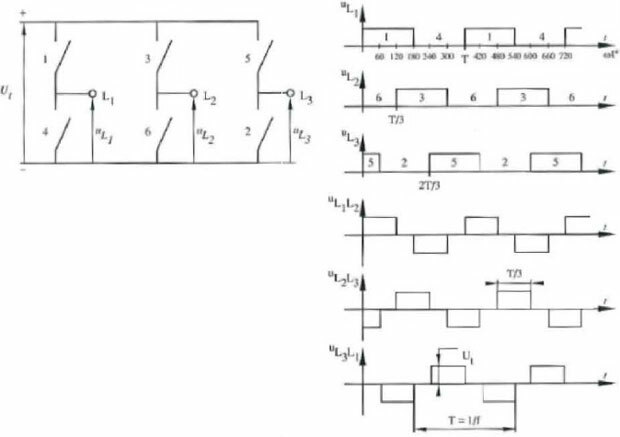 The puzzle to voltage variation variable speed on asynchronous motors is as you mention, a puzzle, depending on motor construction and required torque for a particular application. This trick can work on cases where the load torque requirement decreases as you decrease speed, just as the case of centrifugal pumps. I don't know of formulas to do this, and guess some trial and error tests are required to determine possible slippage on a certain motor - application case. It is the common (cheap) way to control speed on electric motors on domestic roof fans and there are millions of them working out there. 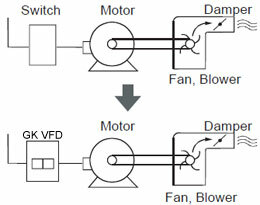 Fans are a case of required torque depending on speed, similar to pumps. Of course, frequency variation is the "correct" method to vary speed of this type of motors, I am not encouraging you to go to voltage speed regulation. Just mentioned it can be done.